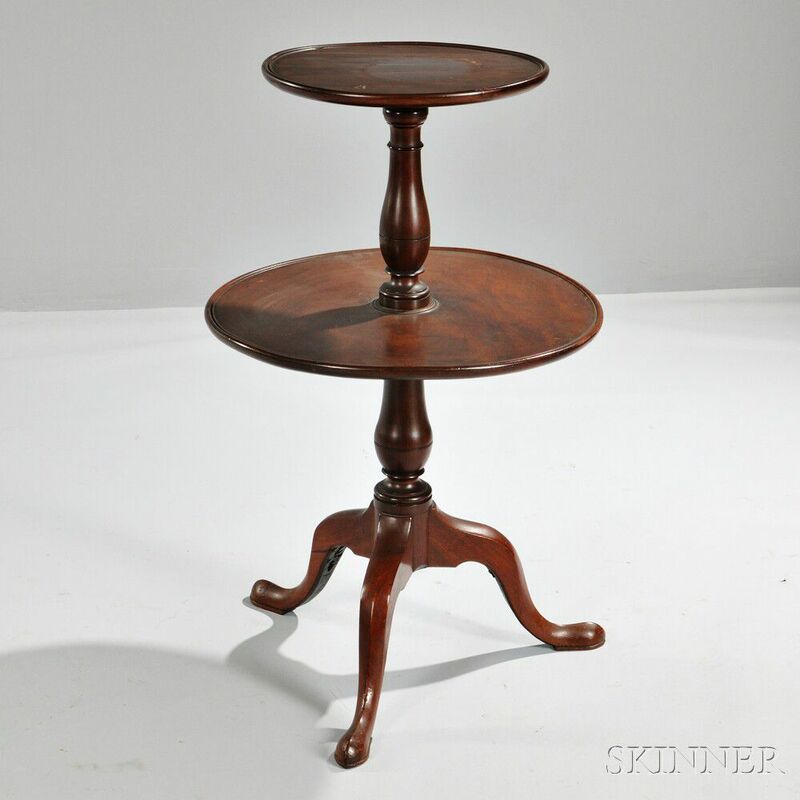 George III Mahogany Two-tier Dumbwaiter, early 19th century, each circular dish rotating on turned pedestal, with cabriole legs and pad feet, ht. 38, dia. 24 in.